Dressing is the key to making a good impression. When it comes to your workplace, your attires define you. It is not only about making an impression but also feeling confident about yourself. Good clothes have the potential to take you a long way ahead in your career. But, like every other story, sweat marks are the villain in your path of success. Sweating often leaves stains that ruin your clothes once and for all, somewhere affecting your public image too. You can either buy new clothes to maintain your impression or follow sweat preventing measures to save your money and wardrobe. It is a fact that a person sweats a huge total of 270 gallons on an average, per year. With this fact, it goes that sweat stains are a more than common issue. While you dream about climbing the ladder at your workplace, your stained clothes make you fall off it. It is senseless to keep spending on clothes that do not help prevent the sweating. You will only end up with an empty pocket at the most. But if you are here, you are at least convinced about a solution that comes at a lower price. Discussed below are some helpful sweat preventing measures that will keep your clothes safe from hideous marks. Instead of all the money that you have or are planning to expend on anti-sweat clothing, we have got you covered. NGwear is bringing to you India’s first ever sweat-proof undershirt to keep your clothing safe and sound. Built with latest technology, it works as a great sweat-preventing measure alongside giving you comfort and style. 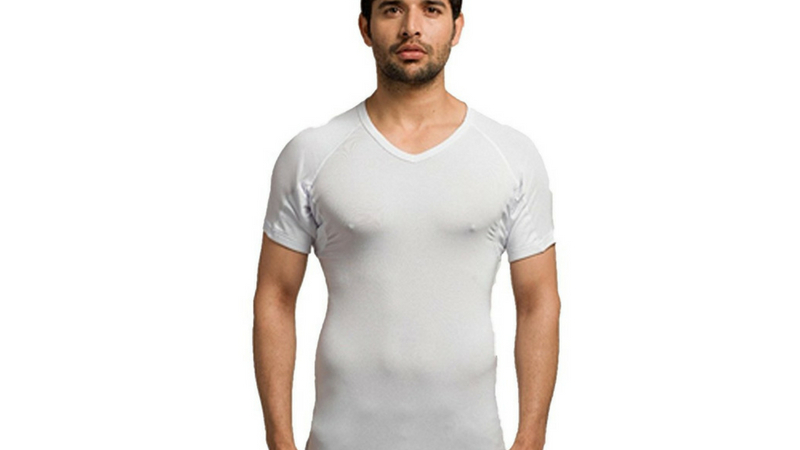 NG Wear sweatshirt effectively absorbs the sweat, obstructing it from reaching the shirt. Therefore, you can enjoy a completely dry day without any embarrassing stains. It is a definite rule that you should not wear dirty clothes. But washing your clothes repeatedly is downright wrong. If you think that washing will keep the sweat stains away, you are making a mistake. The problem is that washing causes the clothes’ fibres to loosen up. Once the fibres start breaking up, your clothes lose the new look and end up giving an ugly impression. Therefore, an important sweat preventing measure is to reduce the amount of dry-cleaning. You can instead hang your clothes or wrap them around a dresser for drying. If they are not wrinkled, they do not require washing. Here is a shocking fact: antiperspirants cause sweat stains. The aluminium in antiperspirants is responsible for the yellow stains that occur on your clothes. When sweat mixes with aluminium, it creates this yellow tint which becomes almost impossible to remove. 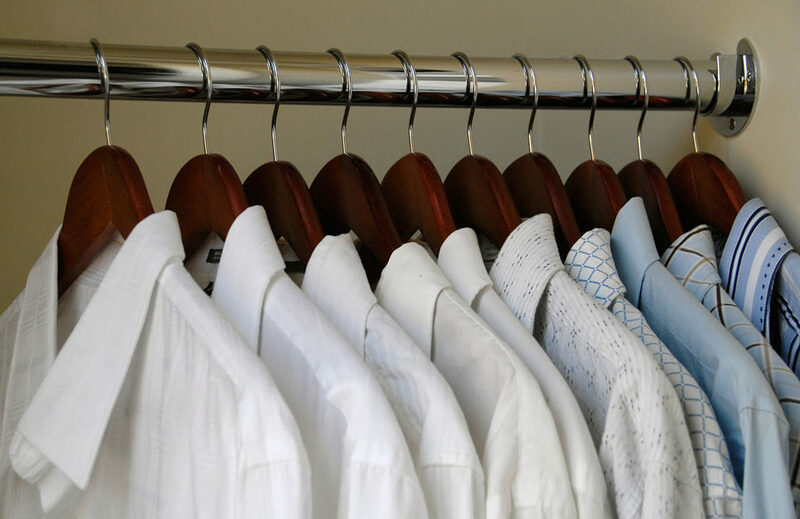 Avoiding these chemical liquids are best for your clothes. As a sweat preventing measure, it is important that you switch from antiperspirants to a natural deodorant. There are other natural liquids as well, such as apple cider vinegar, to prevent sweat. 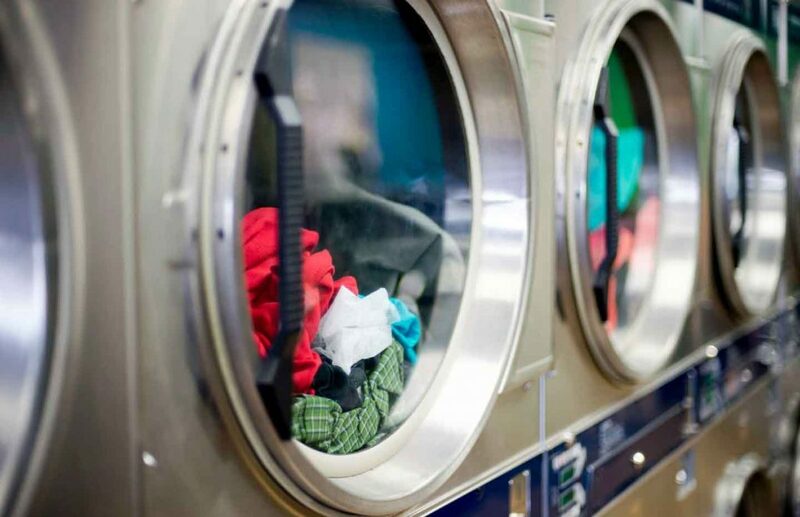 Laundry is a good sweat preventing measure to save your clothes from getting worn out. Less heat and more cold is the best way to deal with sweating, both for your body and your clothing. Just like you avoid hot food and beverages to reduce sweating, use cold water for laundry as a sweat preventing measure. Heat leads to shrinking. Instead, cold water keeps your clothes fit and fresh as new. Additionally, it is helpful if you separate your clothes while washing. Coloured ones in a pile and white ones in a different pile. This way you can get rid of the stains and retain the clothes’ colours as well. 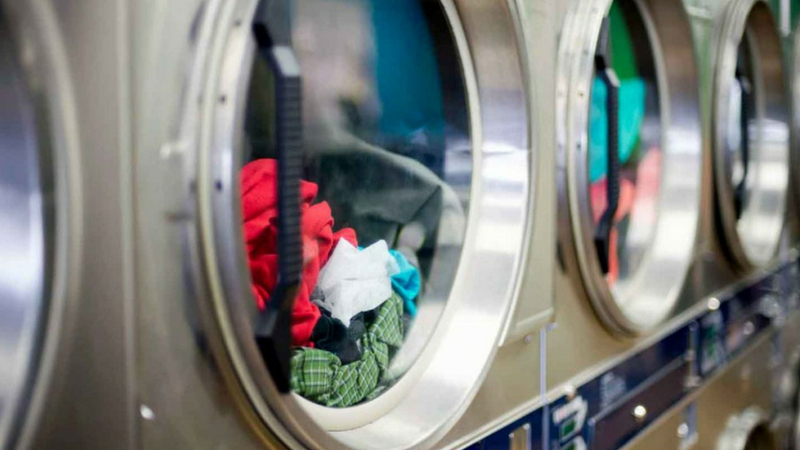 If you use heat dryers for your clothes, you run the risk of diminishing their quality. Heating, again, causes shrinkage and other damages. It is best that you buy a rack to hang your clothes and dry them off naturally. You can easily prevent your clothes from staining if you just follow these simple steps routinely. Wood Hangers – You have to unavoidably hang your clothes after you take them off. Wood hangers are the best suitable for the purpose since they absorb all moisture. Get Rid of Plastic Bags – Plastic bags can cause your clothes to yellow. 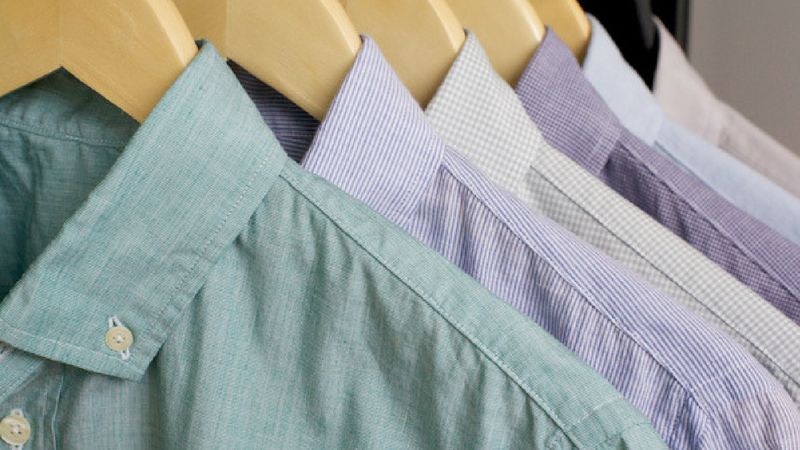 After you get them dry-cleaned, it is important that you remove the plastic to avoid yellowing and odour. Store them appropriately – You can not hang all your clothes. Make sure that you fold them neatly and store them in a suitable space to avoid creasing. Sweating can take a toll on your clothes, thereby, reducing your confidence. 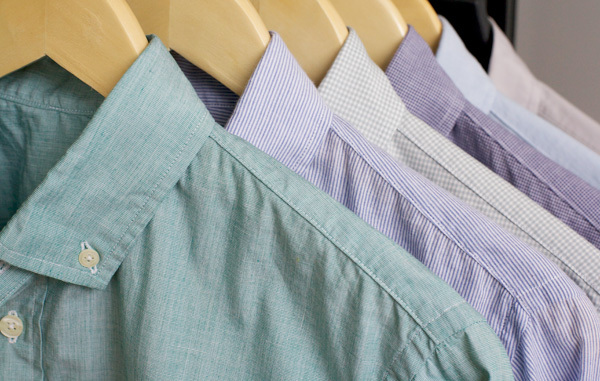 You can follow these sweat preventing measures to keep your wardrobe healthy and fresh. Read here to know about the cause and solutions for yellow sweat stains.